@IronRunner We are planning to release in the US, yes, it just takes a lot of preparation to be able to do that in the right way! 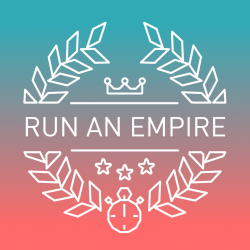 @IronRunner We're prepping a wider Beta actually, so that might be available fairly soon (although we haven't announced a timeline for it yet)! Hi @Pedro - we do indeed to launch in Brazil as well, although there's no specific timeframe just yet! @lifix You're very right, this is something you'll see changes on fairly soon! @dog_gone_dude Thanks for your support! Are you referring to the hex-specific leaderboards, or the game centre one? Thanks! Hi IronRunner - thanks for your support! We haven't announced a timeline for the US launch yet, but stay tuned to our channels and you'll definitely be among the first to know!